4-H Isn’t Just for Farm Kids! A clover logo with an unexplained H on each leaf is widely recognized as the emblem of the national 4-H organization, but aside from an easily identifiable symbol, most people are confused about what exactly 4-H is. Many would say that it is an agriculture based organization and images of farm kids with animals at the County Fair is the first to come to mind. But in all actuality 4-H is so much more. I grew up in the 4-H program and did my best to be involved in as many projects and events as I could convince my mom to allow. And yes, many of those projects and events involved livestock shows, but oddly enough, many more of them did not. Now that I am raising a couple 4-Hers myself, I see that even more projects and experiences are being offered through this wonderful program. Everything from dance and art history, to rocketry and shooting sports, 4-H offers a variety of hands on learning opportunities for kids from 5-19 years of age. County 4-H Clubs and the projects they offer, vary depending on the community volunteers offering to dedicate their time to leading youngsters. However, many clubs offer several basic projects introducing kids to many outdoor related activities. Archery, Hiking, Camping, Fishing, Survival Methods, Outdoor Adventures, Shooting Sports, Wildlife Conservation, and the list goes , but in many cases these projects help to teach kids so many important lessons all while building their skill sets and having fun with their friends! And you don’t have to be a farm kid to be involved! Cade and Quinn have both been involved in 4-H for 4 years already! And I have seen them grow tremendously. It is an awesome feeling as a parent! 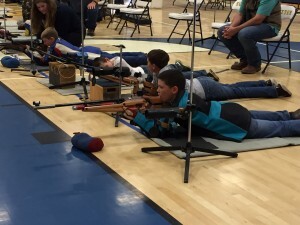 Cade has waited patiently the last three years as a mini-member to be old enough to participate in the shooting sport program and this year, his eligibility finally came! He absolutely loves this project! Every week he is bound and determined to do better than he did the previous week and I love to watch as he sets goals for himself and works to achieve them, all at just eleven years old. I believe that the National Shooting Sports Program is fundamental in conserving our hunting heritage and protecting our second amendment right. This brochure does a better job explaining that than I can. 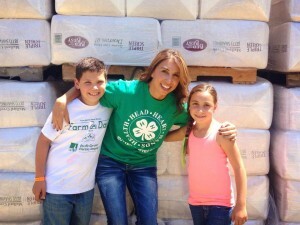 Looking back on my own experience as a 4-Her and now as a 4-H parent and volunteer, I would summarize the 4-H organization as a leadership development program with agricultural roots. I would encourage anyone with Littles to explore the 4-H program in your area. It really is a youth development program that is important in developing life skills. Public speaking, community service, responsibility, organization, and on and on, I really could go. I can’t say enough about 4-H! Check out your county cooperative extension office and find a club closest to you. I am sure that you will find a project that will spark your kiddo’s interest and hopefully gets them outside and loving nature! Click here for more information about the 4-H Program! 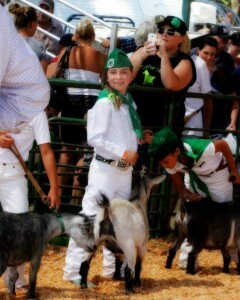 My daughter just started 4H and she is active in 4 clubs. Now she will be 8 in April and not as of Jan 1, there are many neat and educational day camps and other things offered for children 8 and above this summer. It really hurts us that she can not attend do to the fact that she will be 8 a few months before these opportunities begin. The few things and I mean very few things that are available to her are way below her experience and - or maturity level.